The POWER O.I.S. 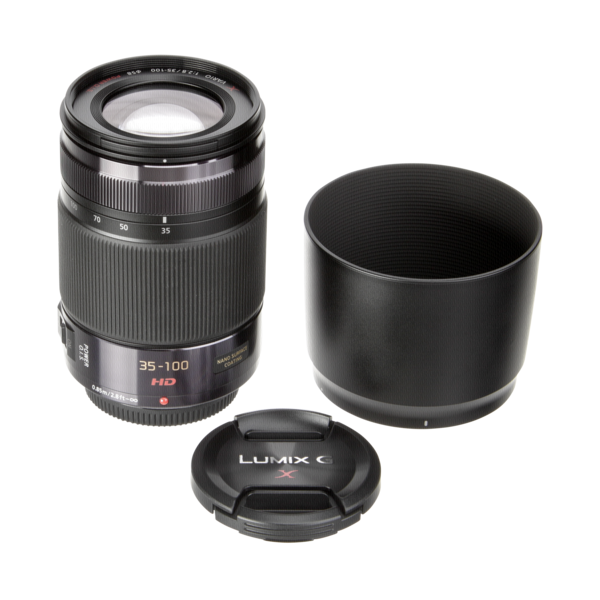 (Optical Image Stabilizer) which is integrated in the LUMIX G X VARIO 35-100mm / F2.8 / POWER O.I.S. effectively compensates for not only small, fast movement but also large, slow one making it easy to shoot super clear shots even in low-lit situations such as in night time or indoors. It incorporates superior inner focus system, which enables excellent resolution and contrast. The inclusion of stepping motor makes the focusing action smooth and silent for use in both photo and video recording. When mounted on the cameras of LUMIX G, users can take advantage of the high-speed, high-precision Contrast AF system. Designed to stand against splash/dust with a rubber ring on the lens mount, the sophisticated metallic-finished look of this lens suits the profile of stylish camera body of LUMIX G.